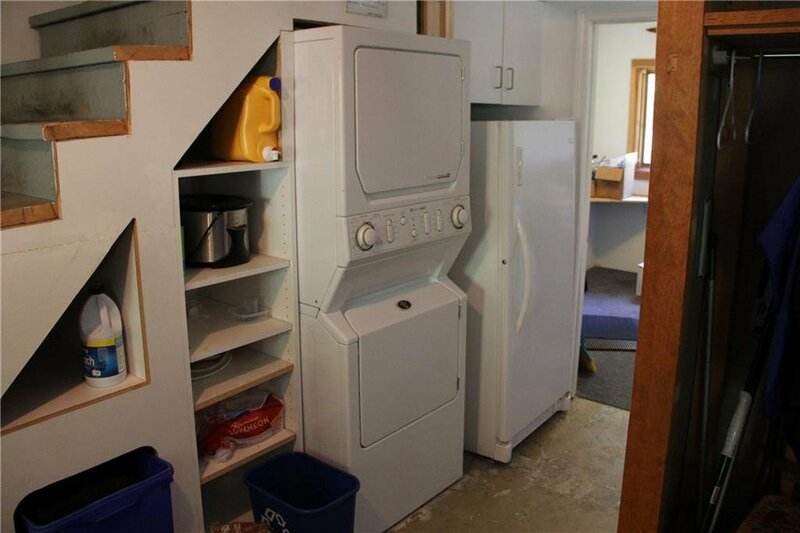 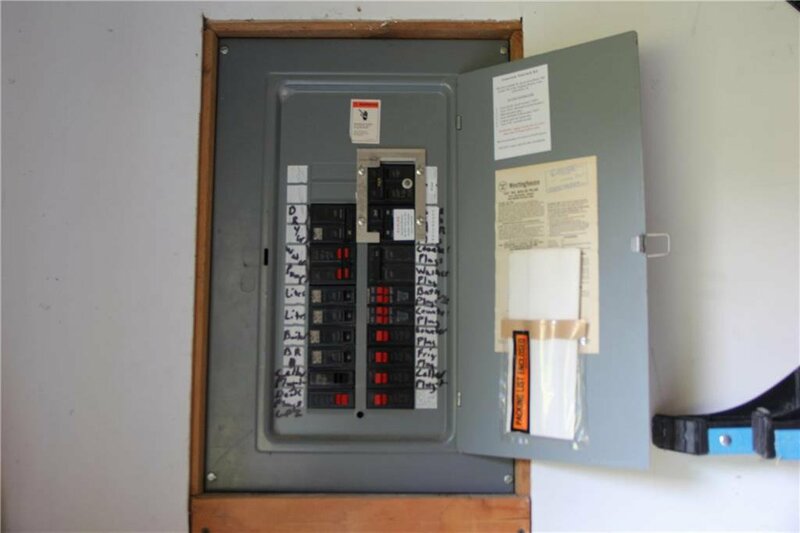 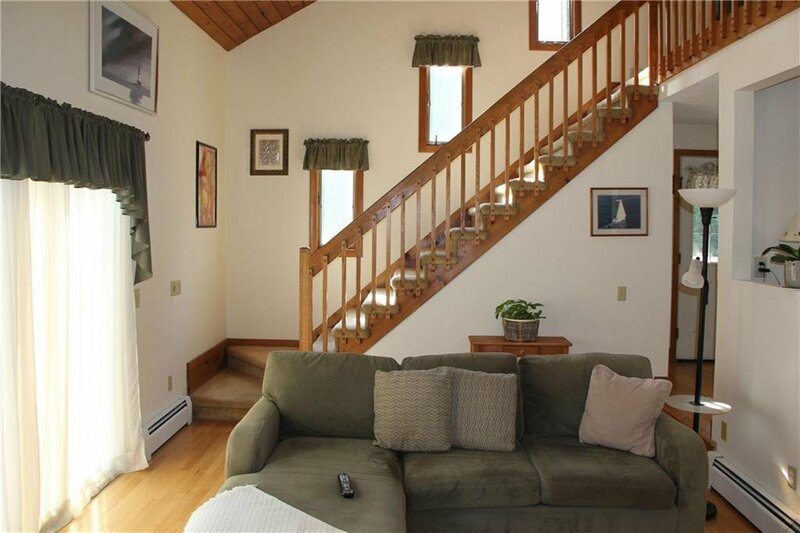 Conveniently located in Jamestown Shores just a block away from the water. 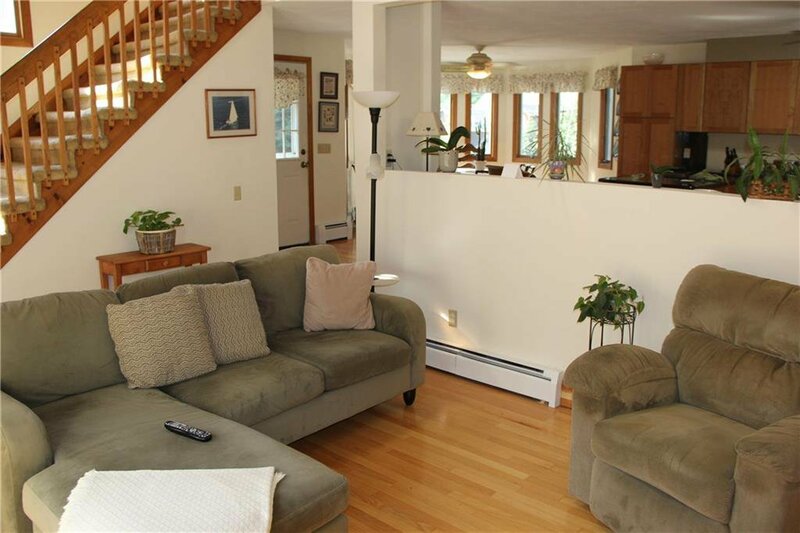 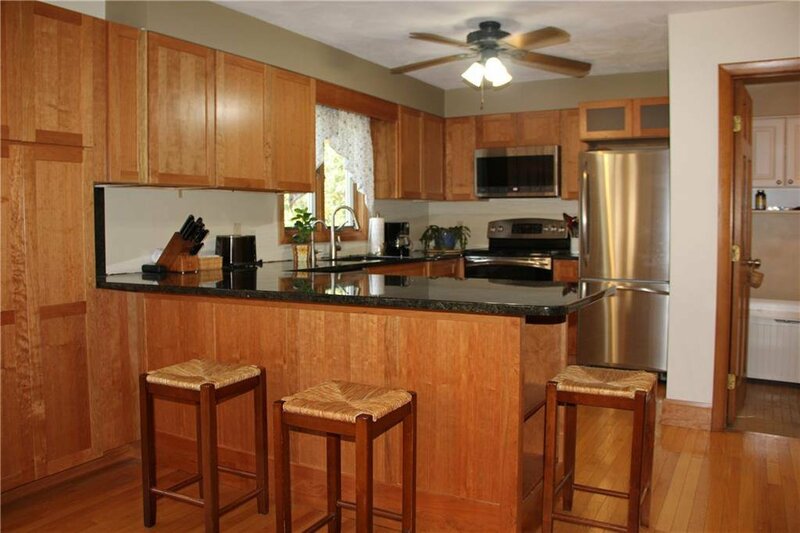 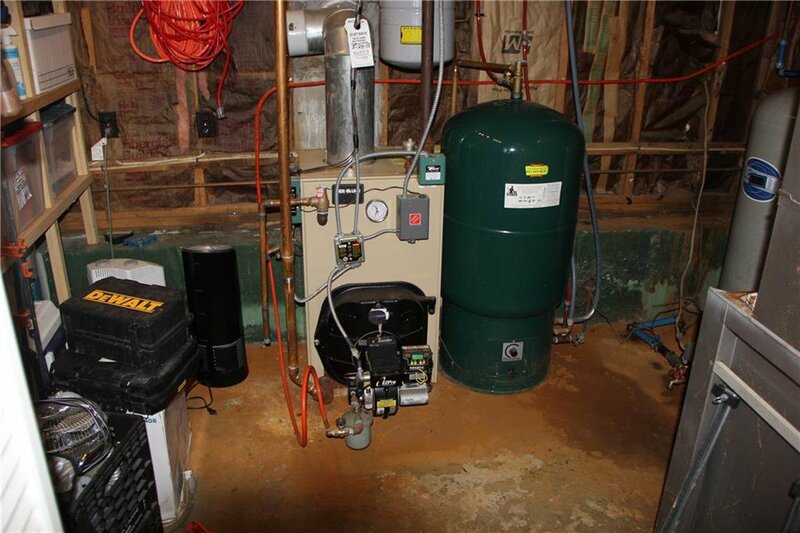 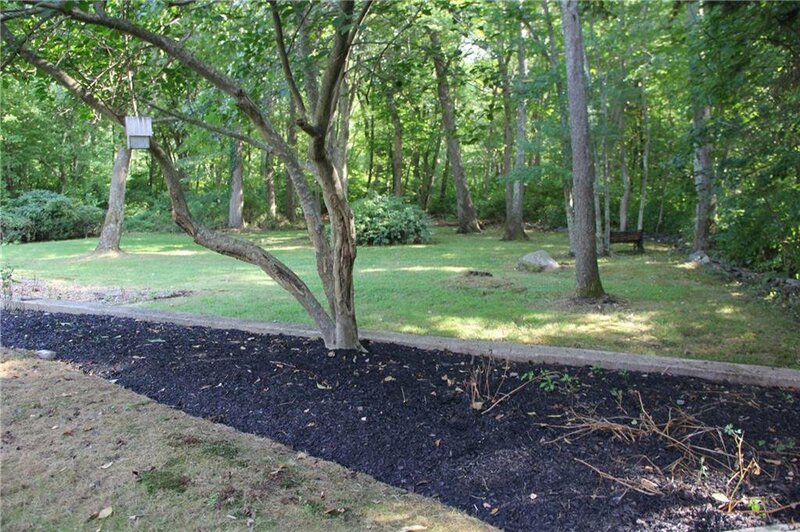 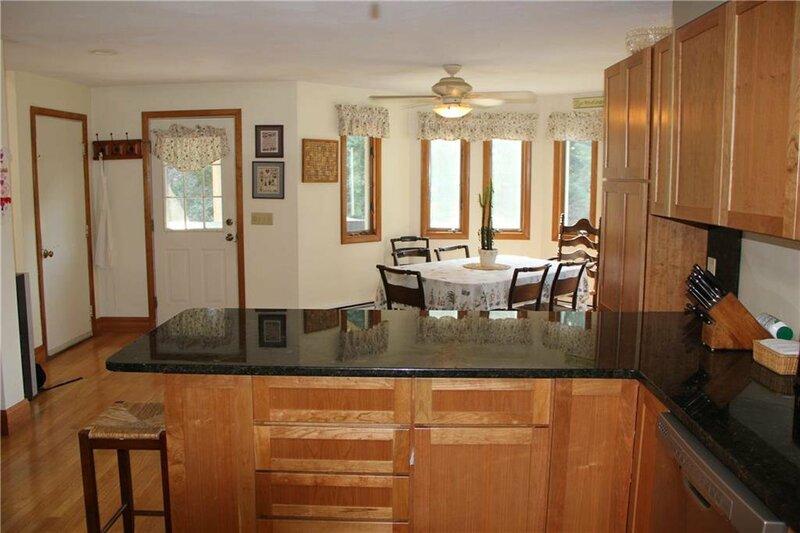 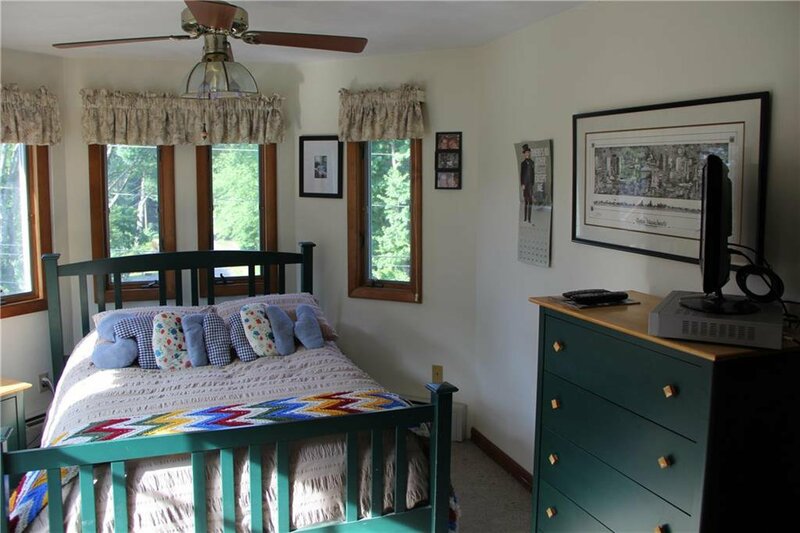 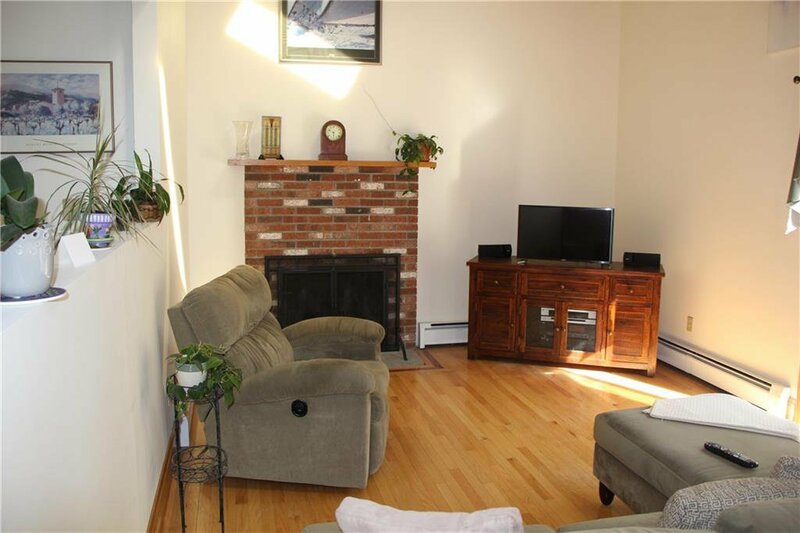 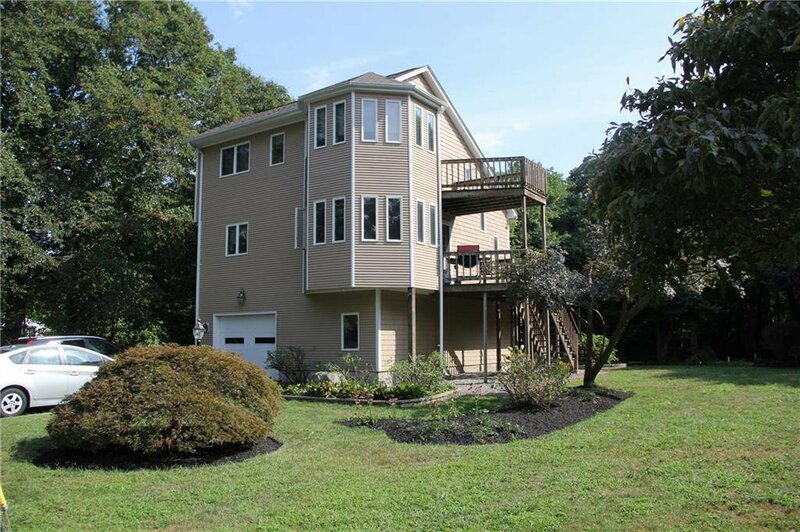 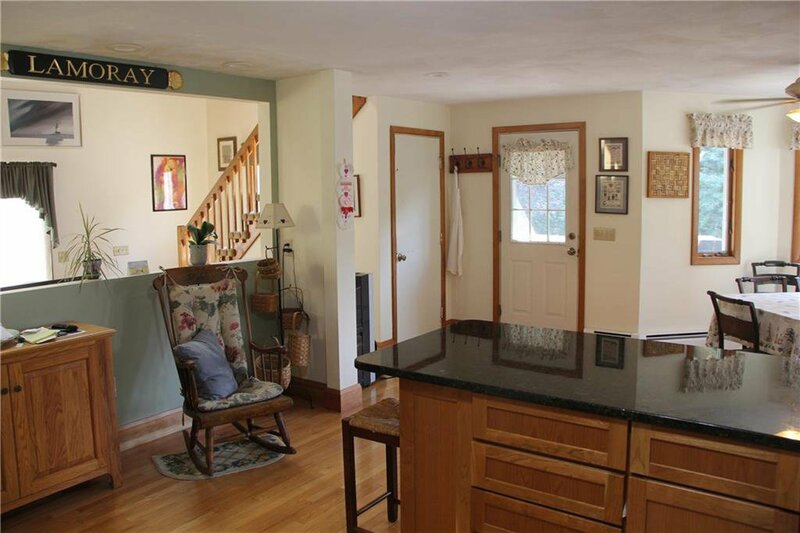 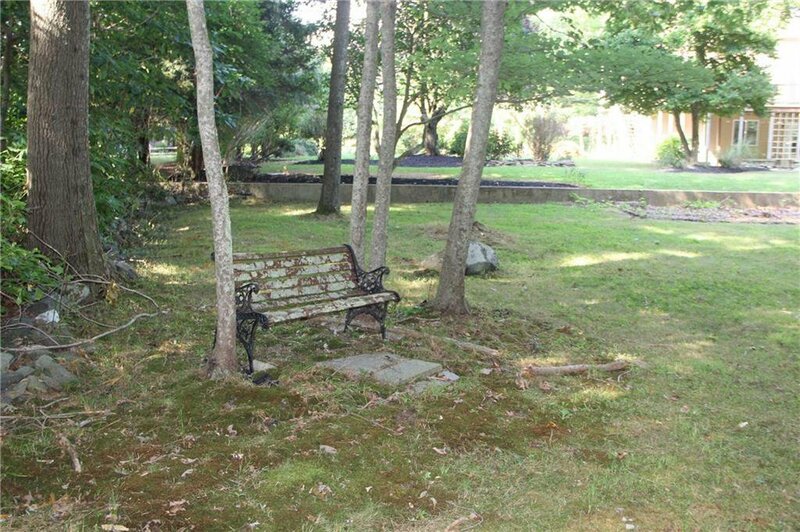 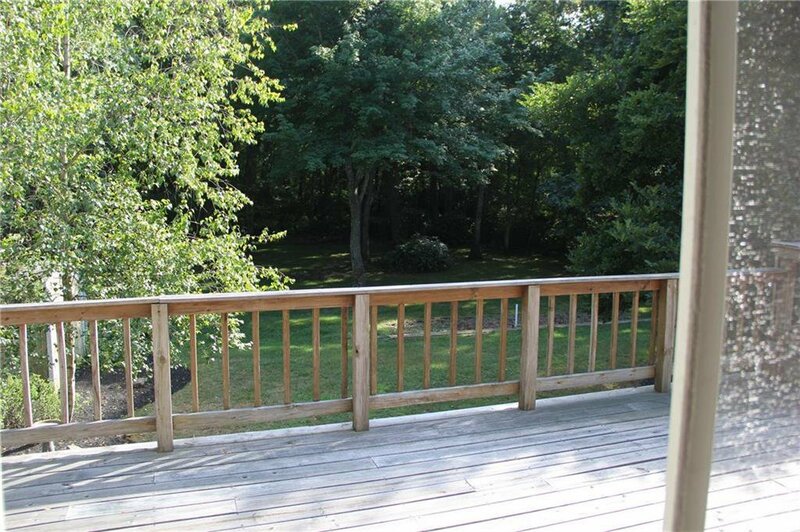 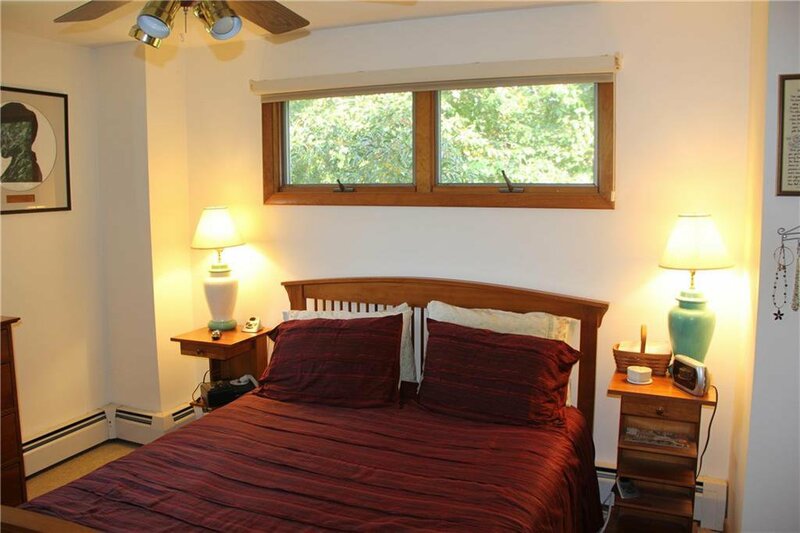 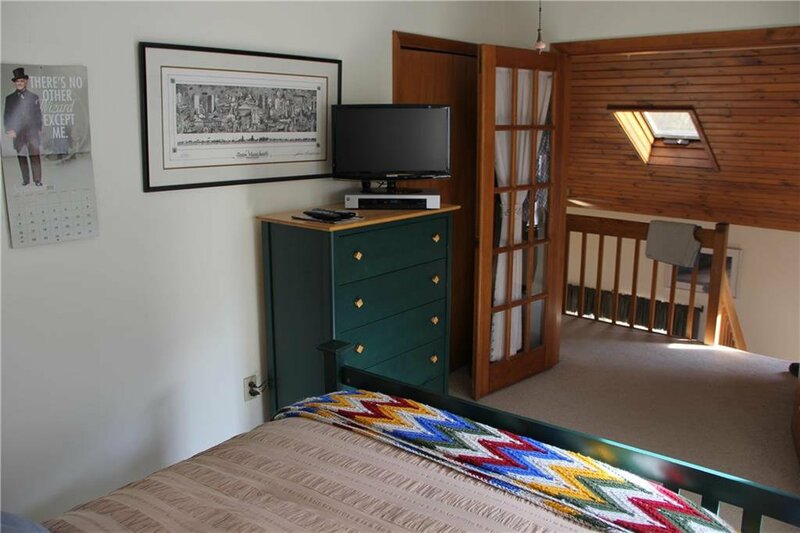 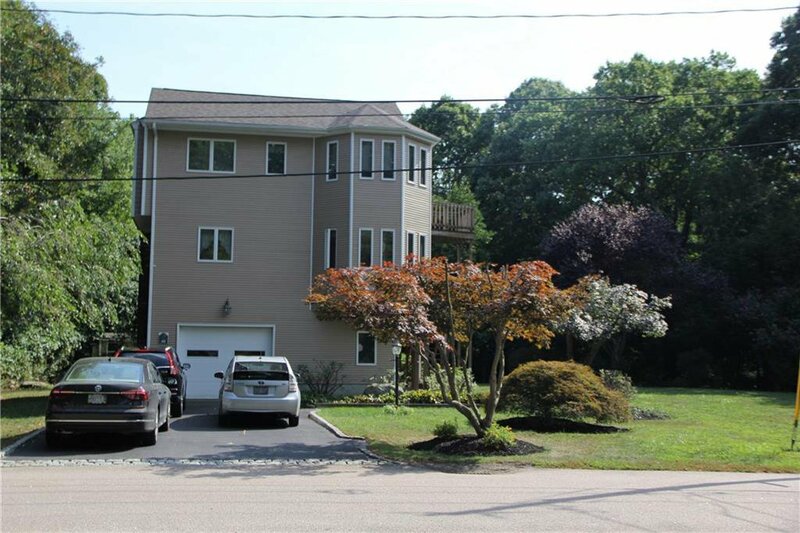 This 2 BR 1 1/2 bath house sits on a large manicured lot abutting wooded land in the back. 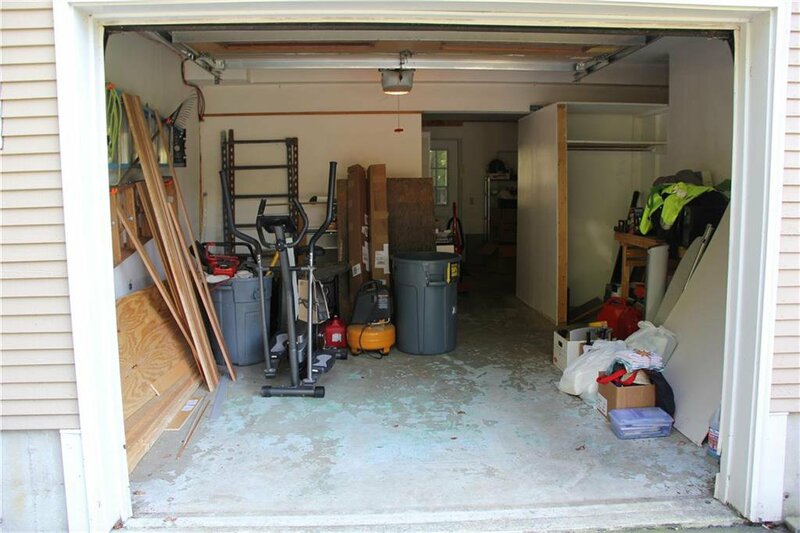 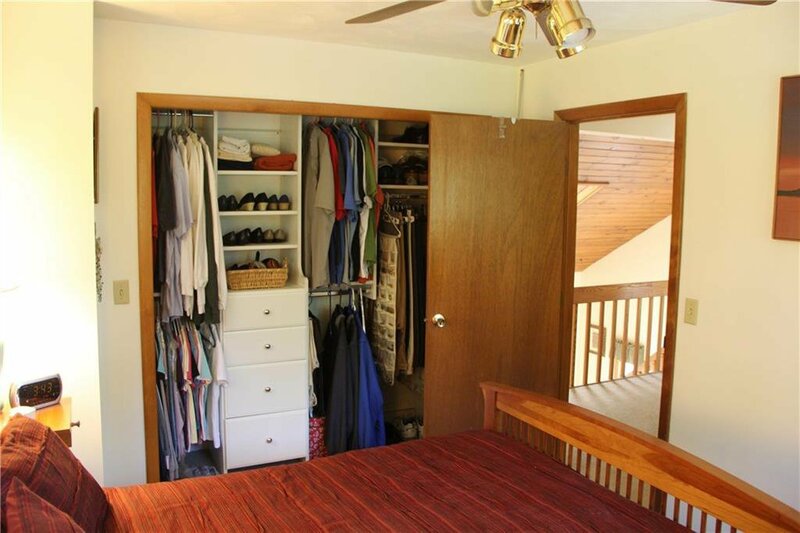 Integral 1 bay garage on the walk-in/entry level leads into good storage space on that level with comfortable living space above. 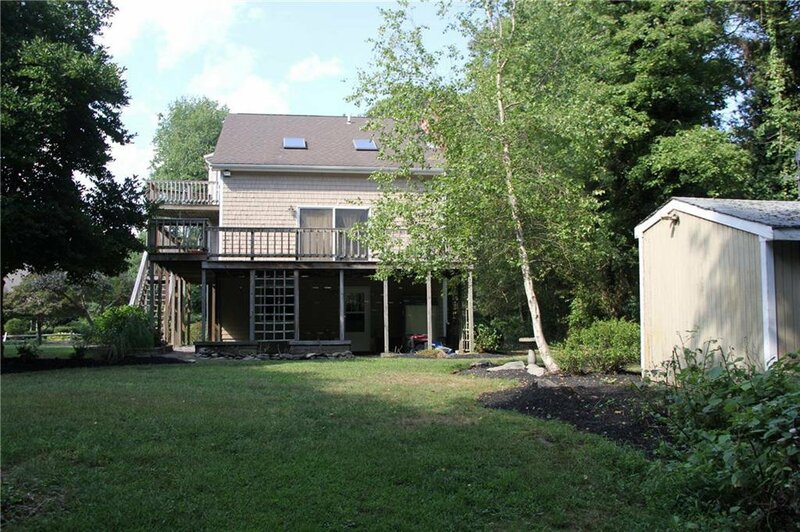 Turreted northwest corner of house offers nice architectural detail both inside and out on upper levels. 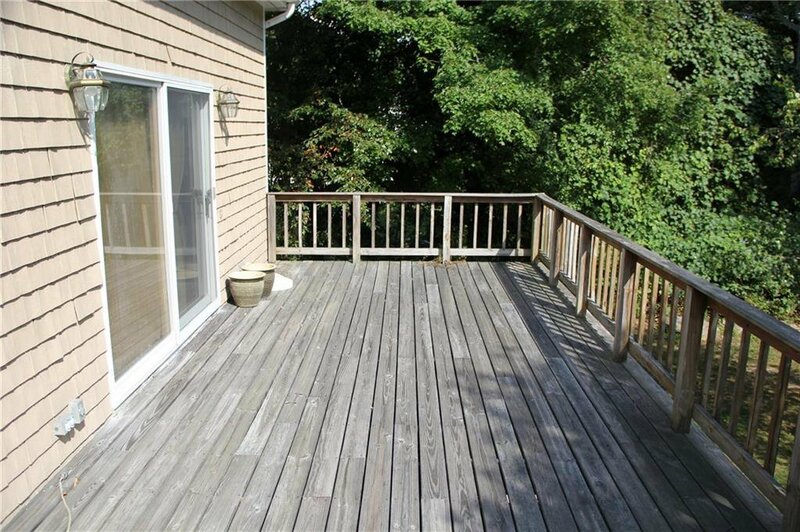 Oversized wooden deck delivers ample outside living space from French doors in the living room. 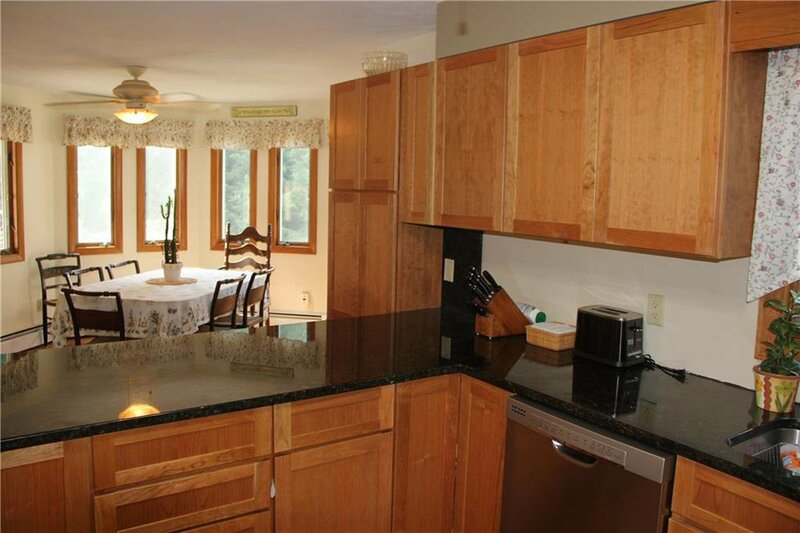 Eat in kitchen with separate dining area. 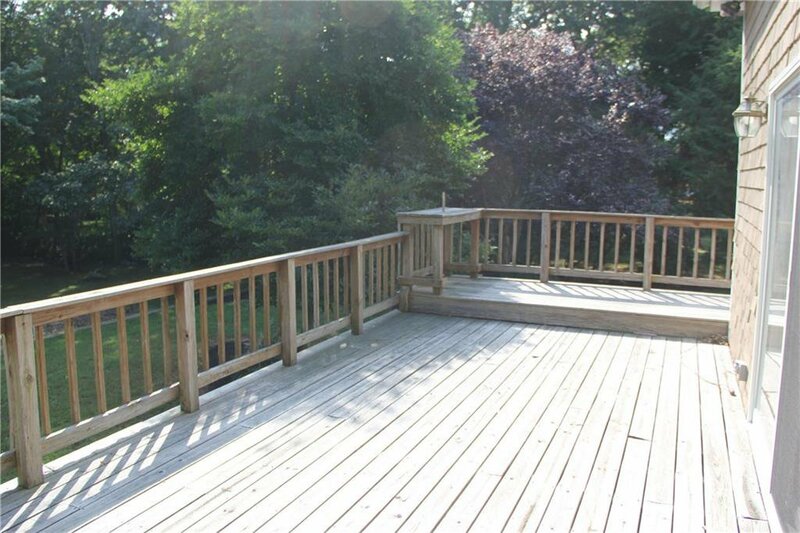 Bedrooms on upper most level with small deck outside larger room. 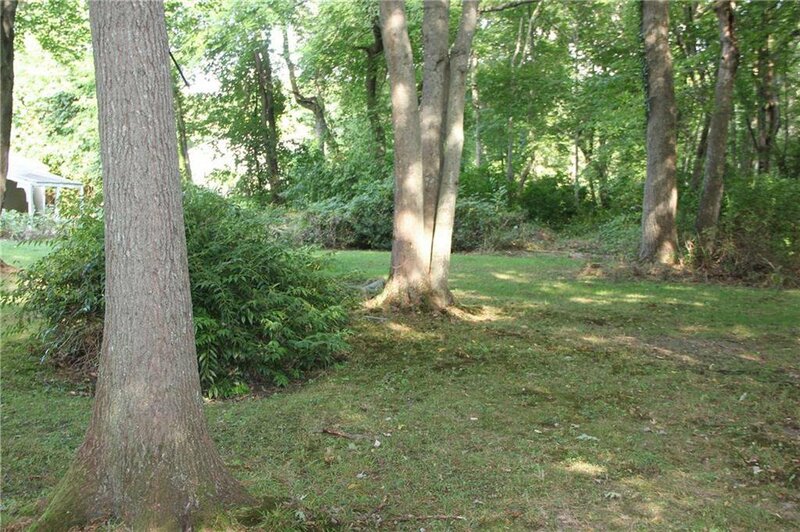 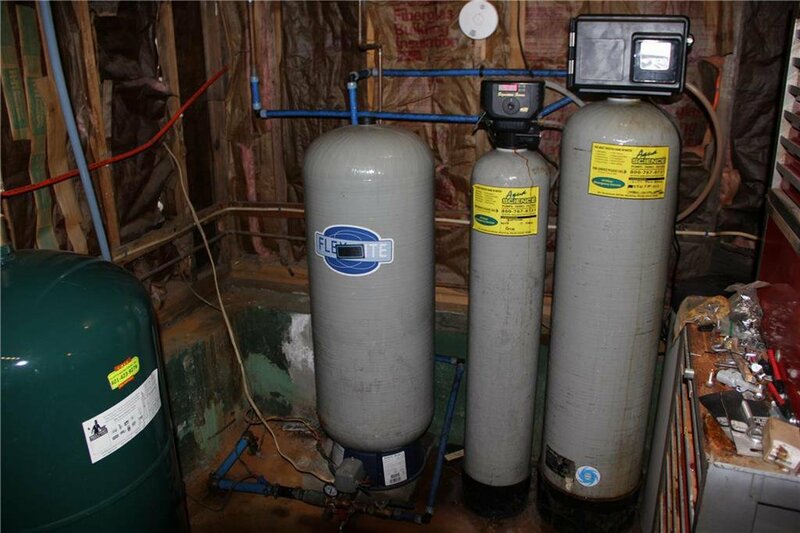 3 BR ISDS offer potential for expansion.